Rainer travelled with his grandmother, Evonne S. Whipple, and 18 other adults. Together they relived the 1963 bombings that took the lives of four girls at the 16th Street Baptist Church in Birmingham; walked the sacred grounds in Montgomery commemorating the lynchings of some 4,400 African Americans; and retraced the steps of hundreds of others who faced danger as they marched across the Edmund Pettus Bridge in Selma in 1965. 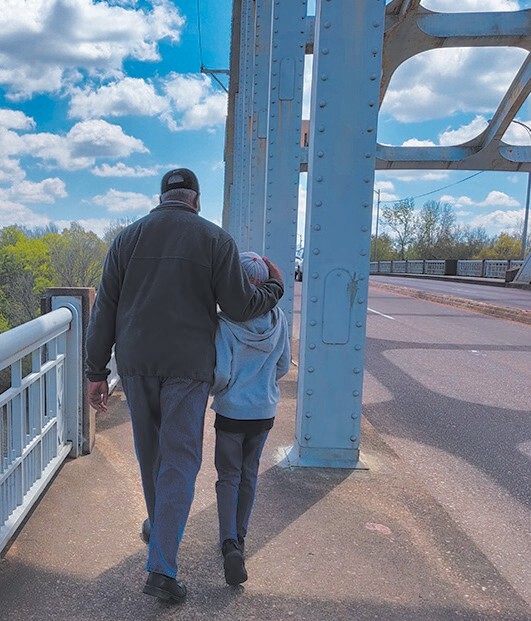 When tour members began their walk across the bridge, Ranier froze. 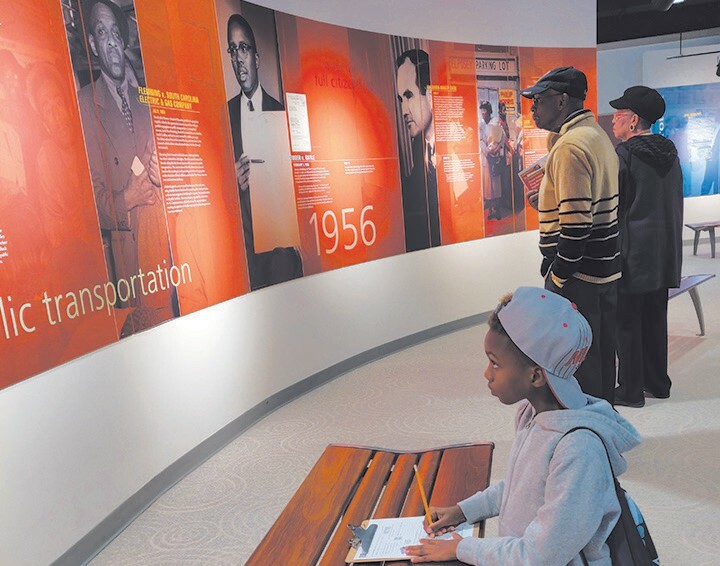 Shinhoster and Shirley Miller Gamble, who as teenagers became involved in the fight for equality in Savannah, organized the bus trip to museums and historical sites in Alabama. 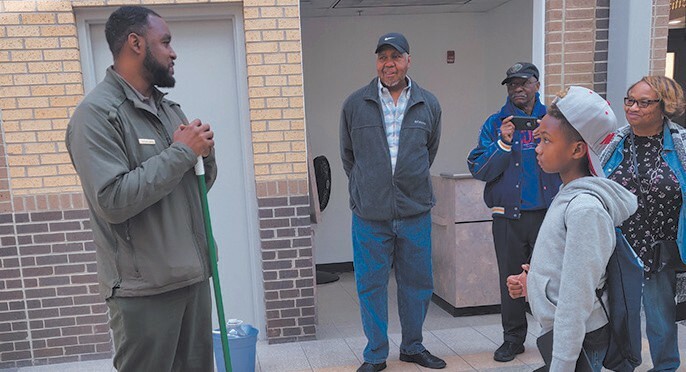 Through their Majestic Travel civil rights tours, they want people to learn from their history and create positive changes. The Legacy Museum in downtown Montgomery focuses on the terror filled passages of blacks from enslavement to mass incarceration. 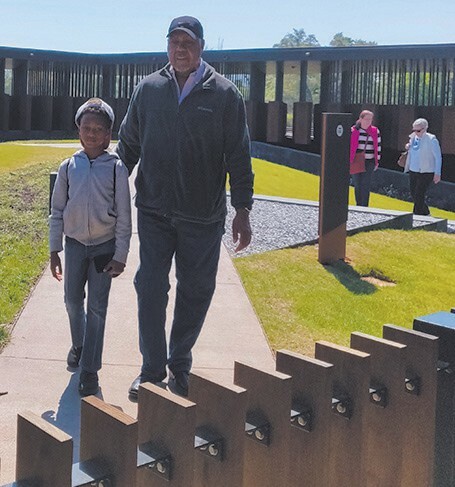 The museum’s sister site is the sixacre National Memorial for Peace and Justice, which is also called the lynching museum. For Edna Branch Jackson, Savannah’s first African American woman mayor, the tour highlighted the importance of sharing this history with young people. For most on tour, Ranier’s presence highlighted the necessity of engaging more young people in carrying on the civil rights work begun decades ago. As a banner at the SPLC declared, “The March Continues”.